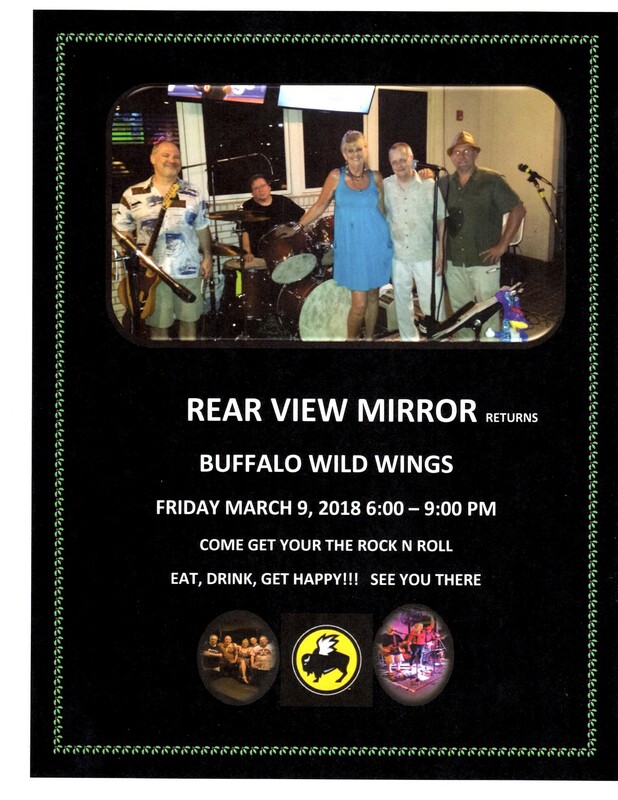 Rear View Mirror | Buffalo Wild Wings | Words | Style Weekly - Richmond, VA local news, arts, and events. 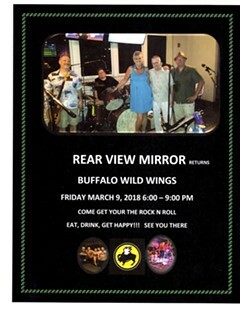 Rear View Mirror is always excited about playing one of its favorite venues, Buffalo Wild Wings in Glen Allen. Bring your friends and come on out to catch some blues, rock and country. 1090 Virginia Center Parkway, Richmond North Side Va.